Solixx is the straightening system that guarantees the control of volume and of naturally curly hair. It is divided in 4 elements. Solixx One: It is the first step towards a correct smoothing action. It protects the hair and prepares it for the next phases of the treatment by making its porosity uniform. 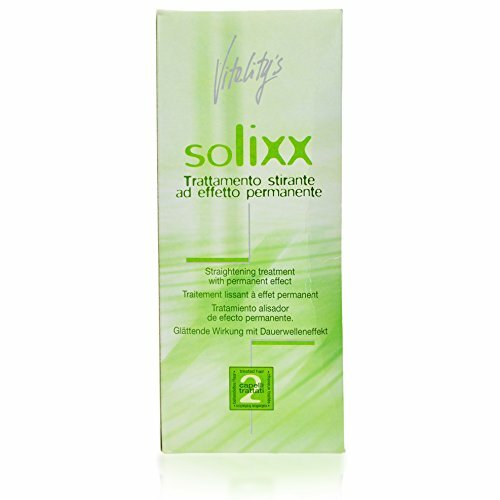 Solixx Two: Guarantees a perfect and lasting smoothing action, fully respecting the hair fiber. Solixx Three: It stabilizes the smoothing action giving the hair a new form. The high technology formula completes the straightening cream's action. Solixx Four: After-treatment restructuring cream. Thanks to the avocado oil and to a conditioning component, it penetrates in depth, leaving the hair shiny and silky. Straightening Treatment with Permanent Effect Comes with 4 Elements: Solixx One Pro Care - 1.6 fl. oz. Solixx Two Sleek Action - 6.7 fl. oz. Solixx Three Neutral Milk - 6.7 fl. oz. Solixx Four Hydra Care - 1.6 fl. oz.